So beautiful! You mention that it was made for your “90 year old mother” and this brings up something I have been wondering about. 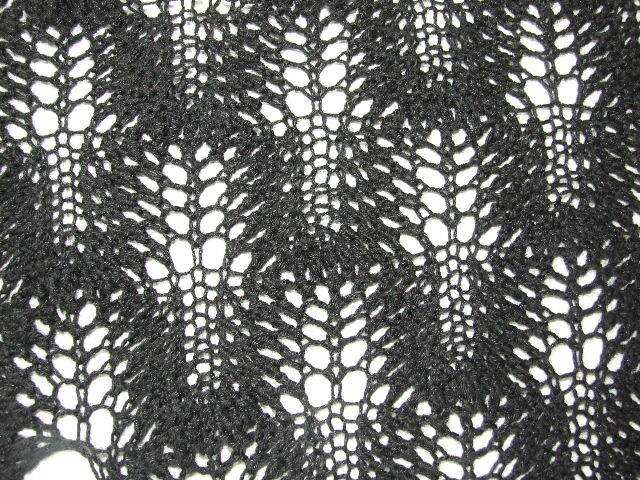 I would like to make a lace shawl or cowl for my sister with some 100% Alpaca sport wt that was gifted to me. The problem? If it becomes necessary for her to launder it (maybe from make-up smear, etc) it would need to be re-blocked. 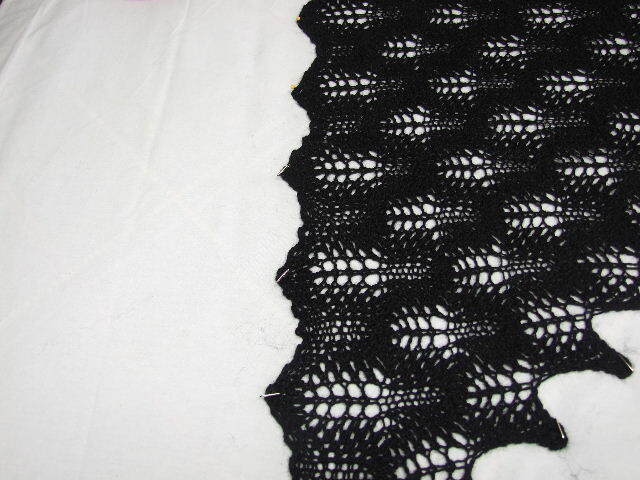 She is not a knitter so has no blocking supplies or know-how, and lives 1000 miles away so I can’t do it for her. 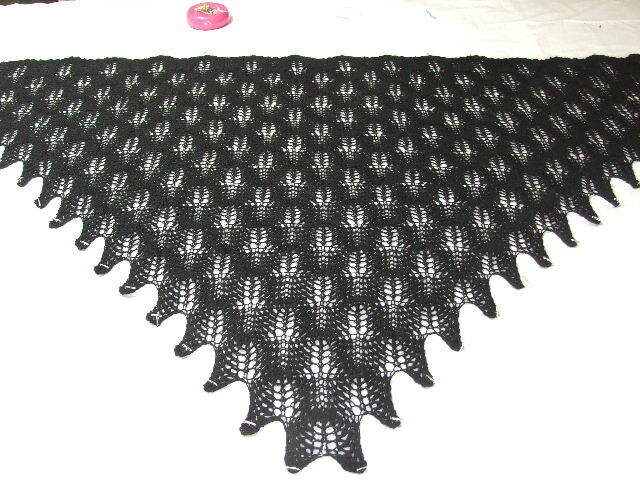 Is there anyway around this other than using acrylic yarn that won’t need blocking? I would appreciate your thoughts on this. Thanks! Terry: The Stroll Sports Yarn at Knitpicks is prewashed wool and nylon. It is also washable. That said, you might also buy her a folding cardboard cutting board, mark top and bottom, and outline dots to indicate where the blocking T-pins should go. Then after she washes it and wraps it in the towel to remove any moisture, she can open her board on the bed, spread out the shawl and pin it where you have marked. If you are concerned about the moisture, you could staple or glue clear vinyl over the board. Hummmm….. that’s an idea even I could apply to my own. Thanks for the question. That is how we come up with new ideas.